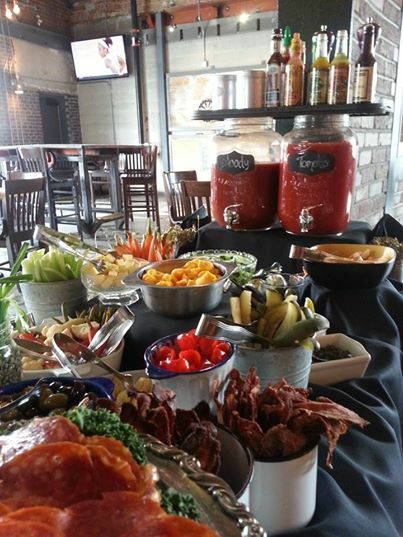 Punch Social lays out a spread that includes cured meats (bacon makes everything better! ), pickled veggies, cheeses and all the sauces you could dream of all to load into a glass with their house-made bloody Mary mix. You can give this meal-in-a-glass a try every Sunday for their DJ Brunch & Bloody Bar. Brunch begins at 8 a.m. DJ starts spinnin’ at 11 a.m.
Punch Bowl Social is located at 65 Broadway.